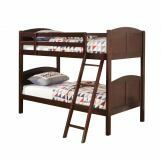 Parker Youth by Coaster Furniture. 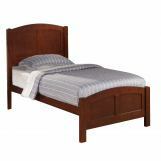 Sturdy quality construction and stylish design are the hallmarks of this bedroom collection. This enduring style features pine wood construction with select veneers in a rich cappuccino finish with same color hardware. 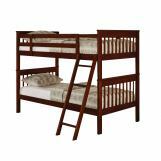 Two different panel bed beds to choose from and both feature an optional underbed storage unit for added space. 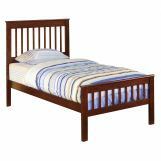 The matching underbed storage features three storage drawers and you can use one or two on either side. All drawers feature dovetail construction for added strength and smooth drawer glides for easy operation. 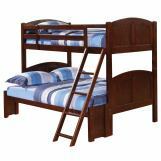 Classically designed, this collection is perfect to grow with your child from kindergarten to college!